The rich history of Voxx Electronics began in 1965 with John Shalam first started selling large stocks of radios. While audio electronics is the company’s main area of focus, in 1981 it expanded to vehicle security. The company knew this was going to be a lucrative field, and took full advantage by offering car owners affordable and reliable aftermarket car alarms. Around 2000, Voxx Electronics wanted to offer an extensive range of car alarms. Voxx acquired the assets of well-known code alarm security companies; the big acquisition of Jenson, Phase Linear, AR and Advent brands helped Voxx Electronics offer the popular aftermarket alarms. Prestige and Pursuit are the company’s most popular car alarm series. 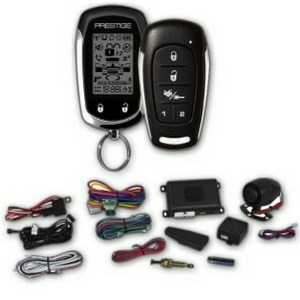 The Prestige series offers an affordable range of basic and advanced car alarm systems. 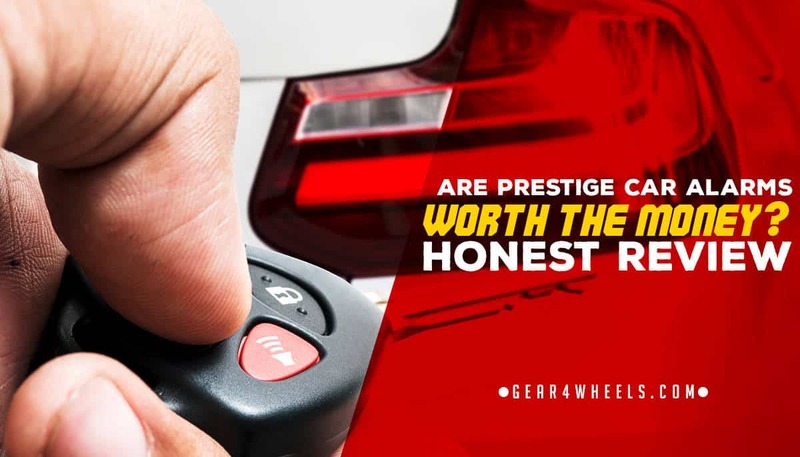 The entry-level products are sufficient in delivering the vehicle security you need. The few differences between the entry and advanced levels are the operating range and the functions embedded in each alarm. Most remotes offer multiple functions in which you can activate different target areas, keyless entry and pick between the alarm activation modes. The multi-tone siren plays different sounds in a seqence. This enables you to distinguish it’s your car whose alarm has been triggered. Whether you choose a basic or an advanced alarm system, your car will have a highly efficient vehicle security system. The Pursuit series is another car alarm system of which Voxx Electronics is proud of. At the very basic level you can have a key system that locks or unlocks your car only. You can step it up and acquire an alarm system that provides protection around your entire car. The different alarm systems have the technology to sense how attempted theft is occurring. The more advanced versions send you text notifications of command confirmations. You can prevent the ignition from switching on by using the remote. There are replacement remotes available which are compatible with most cars and their smart interfaces. The Audiovox Prestige APS25E arrives with two three-button one-way remotes. The channel receiver you install as part of the car alarm is capable of accepting four transmitters. Both remotes are embedded with panic modes. The remote activates and disarms the car alarm up to 500 ft. You can select active or passive arming when you activate the alarm. The alarm is fitted with a valet for you to bypass all alarm functions. This makes it easier for a valet or mechanic to operate your car. Some functions are still activated such as the panic button and the door lock will be operational. For a basic alarm system the APS25E provides all the features you need for ultimate car protection. The multiple function remote allows you to do more than arm and disarm it. The remote is linked to three different zones in which you’ll receive tamper notifications. The alarm is embedded with a starter interrupt that disarms the engine during the theft. The selectable hardwire and voltage sense enable you to pick if you want to activate door alarms and/or other sensors too. You can add negative trigger inputs in the hood and trunk for all round protection. The sensors are very sensitive upon installation. The heightened sensitivity triggers the alarm at random and unnecessary times. There are no instructions to help you activate the valet switch which is important for certain cases. You can select all the features and programs you want. You can select active or passive alarm activation, auto lock for some or all of the doors. The alarm system can be programmed for one or two users with separate control outputs. All the modes have remote panic features. This function is completely operational even after the valet switch is activated. The cold start mode comes in handy during winter. This mode reads the external weather temperatures and allows remote ignition startup. The temperatures aren’t preset to give you better flexibility in choosing the coldest temperature suited for you. This alarm system is equipped with city mode. This mode heightens your sensor’s sensitivity. The alarm and siren don't trigger at slight bumps. An engine immobilizer can be activated to prevent burglars from driving your car. For all-around protection, you can install a negative trigger output in the hood and trunk to prevent tampering. The alarm system is compatible with most cars. The system can be fitted into a car with a manual transmission. The kit doesn’t have all the hardware and electrical components, which make installation harder for some cars. A bypass may be needed to program the alarm and functions. 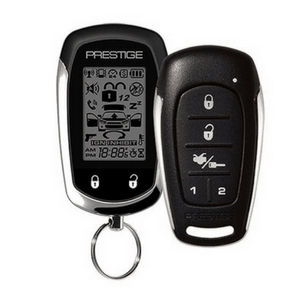 The Prestige APS787E has two 5-button metal 1-way remote controls. Both controls are embedded with panic buttons which can be activated for all modes and when the valet switches are on. You can connect to three arming zones all of which have defective zone bypasses. This allows you to disable an accidental triggered alarm. The remote start is perfect for hot or cold weather. You can start the car from inside your home and it’ll adjust the interior temperature as needed. The intended range is 2500 ft. which makes it possible for you to transmit commands to the alarm from far away. This remote lacks some of the features that most OEM systems have. Instead of a honk confirmation the alarm is activated from the first push of a button and you need to press it twice. The APS787E might not deactivate the car’s factory alarm system which can hinder or cause malfunctions to some operations. The importance of a car alarm can’t be overstated. Which one of these will work best for you? Take your pick now so you don’t regret now having one in future.